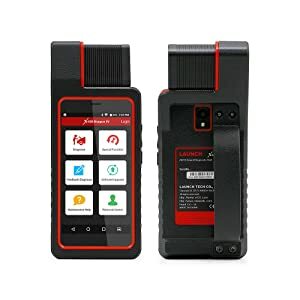 I have shortlisted some of the best bidirectional scan tools on the market on the basis of features, price, compatibility, and connectivity. In this article, we will explain both the strengths and weaknesses of the Best Bidirectional Scanners so that you can choose one that best fits your needs. 4.1 1. What is a Bidirectional Scan Tool? 4.2 2. What are Bidirectional Scanners for? 4.3 3. Who should buy a bidirectional Scanner? 4.4 4. What is bidirectional control? The device covers the widest range of vehicles in the world making it the essential gadget for all automotive experts and beginners. One of the best bidirectional scan tools on the market is the Launch X431 V. It offers actuator tests, 11 advanced functionalities and a plethora of basic functionalities, too. Bidirectional Control: With this automotive diagnostic tool, you can perform actuator tests (testing the output elements). This feature lets you know if a specific system, component or a subsystem is functioning properly or not. For example, if you carry out an actuation test on a radiator fan, if it turns on when the radiator fan is working fine but if it doesn’t then there might be an issue with the wires, replays or the fan. This feature is not available in conventional code readers. Diagnose Your Car Remotely: This obd2 scan tool doesn’t involve any wires. Instead, it’s a tablet that lets you diagnose your car easily. In fact, you can also connect it to any smartphone, tablet or a computer as well. 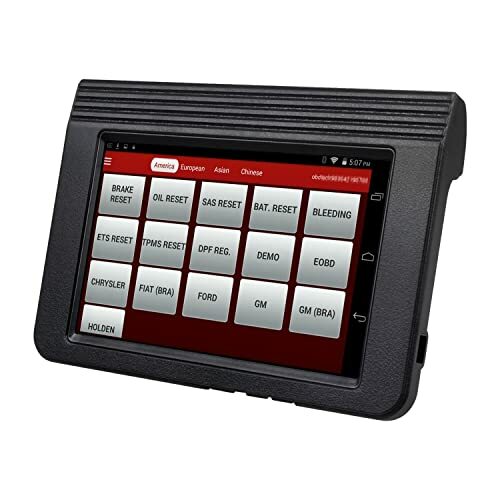 Advanced Features: Launch X431 V offers 11 advanced features including DPF, EPB, Steering Angle Calibration, oil lamp reset, TPMS reset, immobilizer matching, battery register, battery maintenance, ABS bleeding, throttle position reset and learn. While it’s a great product, for some users, it may be too heavy at about 11 pounds. Launch X431 V offers 11 advanced features. Supports Asian, European, American and China, up to 94 car brands and over 10,000 car models. Runs for longer on battery – 8 hours. Offers 23 languages to choose from. Works on diesel cars as well (12V). Cannot reprogram a dash cluster to a new Pat’s security ignition key. Doesn’t calibrate proximity for all car models. Cannot work with heavy duty model. It’s an advanced bi-directional scanner built for both mechanics and professionals. This bidirectional scanner supports all 1996 and newer models and is recommended for DIYers and technicians. 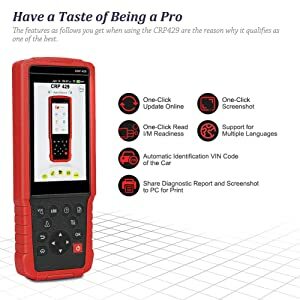 If you are in search of a bidirectional diagnostic tool that offers advanced features then LAUNCH CRP429 can be an excellent choice. What Makes LAUNCH CRP429 Special? The Launch CRP429 is a fast-growing company with its reliable products. It’s specifically famous for excellent customer service. Oil reset: Reset the oil service light. EPB: finds fault in the brake pad system. DPF: stabilizes filter performance by diagnosing faults in the exhaust system. Injector Reset Service: Write code(new) after replacing ECU. SAS: Turn off the malfunction indicator light and adjust the steering angle sensor. IMMO: Resets car key to provide safety. BMS: Perform battery management reset in case of a new battery. ABS/SRS: Offers bidirectional tests in SRS and ABS system. LAUNCH CRP429 can be an excellent choice. The company understands the importance of time and offers this amazing feature. In only a minute, this scanner completes diagnosing all systems including ABS, SRS, Transmission, body, chassis, air conditioner, fuel system, powertrain, and engine. Launch bidirectional scan tools are known for superior battery and processing performance. It comes equipped with an A5 quad-core processor that’s very fast and has a rechargeable battery (4000 mAh). The scanner lets you request various component tests such as EVAP, catalyst converter etc. Moreover, it also lets you conduct bidirectional tests in the ABS system as well. One click update with WiFi. 1-year warranty and 1-year online free updates. Can diagnose obd2 system in motorcycles as well.Fast booting time. 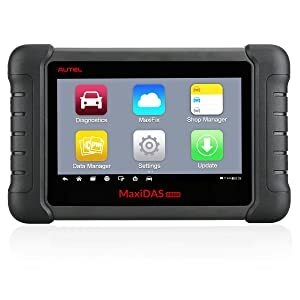 Autel Maxidas DS808 is a 7-inch touchscreen scanner that operates on Android and has 32 GB memory. It’s actually an upgraded version of DS708 and has many advanced features along with the ones that were in DS708. 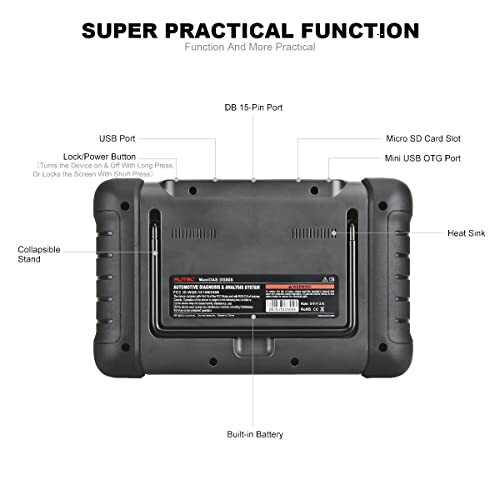 The super practical function of Autel Maxidas DS808. Bi-directional control ability (perform the active test to determine problems in specific components). With these capabilities, you can figure out most of the complex problems in your car, especially the specific ones thanks to the bidirectional controls. Cloud-Based Data Management: Autel Maxidas DS808 has a cloud-based management system that lets you arrange, store, input, and view scanner data, codes, and reports. The scanner tool also supports WiFi and printing tasks. Battery Power: The battery provides 4.5 hours of constant use. This means that you won’t have to worry about your scanner giving out charge just after performing one full scan. It is meant to run longer which is a great plus. The downside of the product is that there’s no Bluetooth connectivity and the key coding feature might not work in some models such as the 2012 Ford Edge. 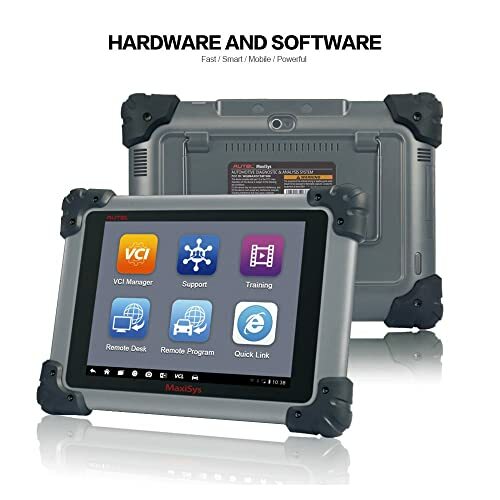 Supports more than 80 US, Asian and European car models (1996 and newer) that are obd2 compliant and also supports other electronic systems. Works with diesel models too. Supports BMW battery (Resetting as well). 1-year warranty and free lifetime updates. Doesn’t have a complete OBD1 adapter (buy separately). 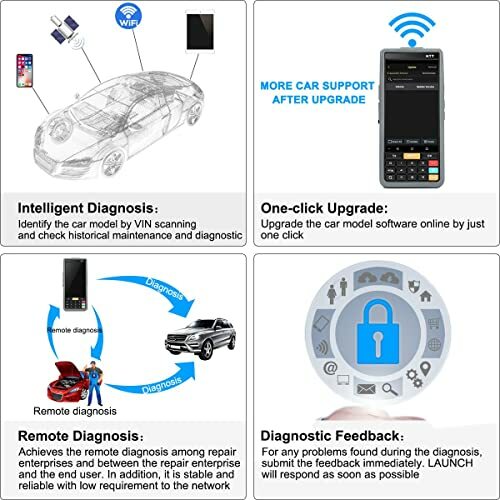 Professionals and mechanics can use this scanner to correct complex and simple car issues. 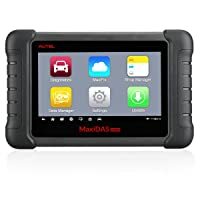 This automotive diagnostic tool offers everything that you need to keep your car away from issues. You can perform coding, programming and do advanced functionalities as well. With this wireless tool, you can control your car’s components, sensors and subsystems as well. 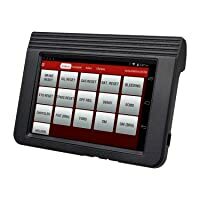 ECU Programming And Coding: The highlight of this scanner is its ability to perform flash ECU coding and programming using an interface that’s SAE J2534-1 & -2 compliant vehicle programming. Battery Time: You can run this 9.7-inch tablet scanner for 8 straight hours without having to worry about charging in. Autel Maxisys Pro MS908P is fast, smart, mobile and powerful. Very small and lightweight, hence easy to handle. Replacement parts (battery) can be hard to find. This OBDII scan tool is perfect for professional users who want to use advanced features to keep their car in good shape. 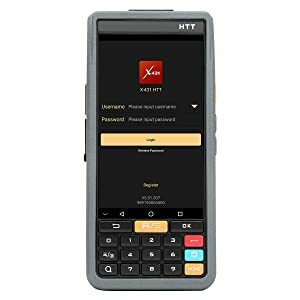 Launch X4331 HTT will help you do a number of basic, advanced and bidirectional controlling tasks with ease. With it, you can read code definitions, see wire diagrams and get to know preferrable fixes. It offers 15 advanced functions that will help you determine if each component of your car is working fine or not. 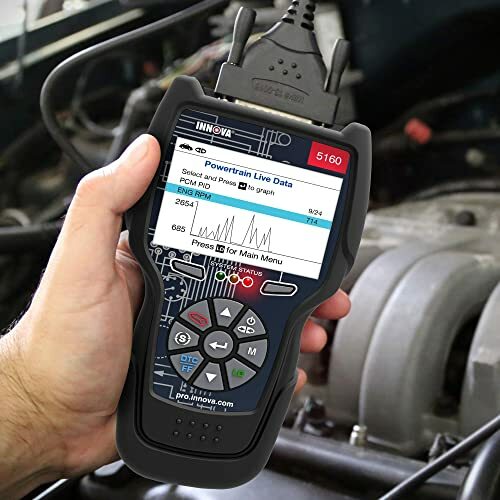 LAUNCH X431 HTT is the ideal scanner for professional mechanics and auto repair stores to perform all-around fixes and comprehensive tests. Actuator Testing: With this feature, you can input commands into the ECU and read ECU data. You can also monitor the operations that are performed by the actuator and even switch an injector between two states. In short, actuator testing helps you determine problems in the subsystems of the car and carry out various component tests as well. It offers many other bidirectional features, too, such as gear learning, injector coding, sunroof initialization, suspension matching, and gearbox matching. 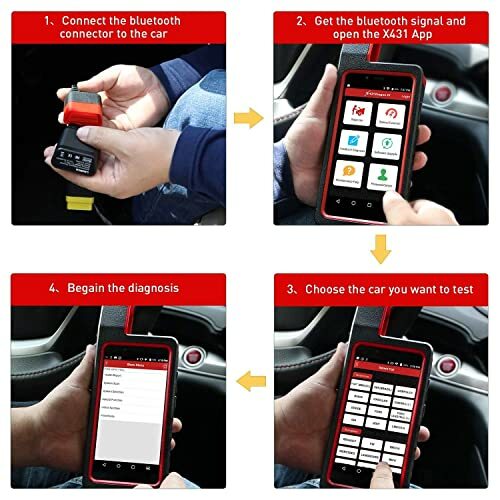 Intelligent Diagnosis: Thanks to the VIN feature, the device connects automatically to your car using the Bluetooth feature. Launch X431 HTT offers intelligent diagnosis. Advanced Features: Launch X431 HTT provides with 15 advanced features including DPF, EPB, throttle adaptation, oil reset, ABS bleeding, Steering angle reset, Anti-theft matching, Tire Pressure Reset, Battery Matching, IMMO, BMS, SRS, ECU coding etc. While the product is quite good, many users find it to be too expensive. It covers around 90% models of Asian, European and American cars including many brands such as Koda, Opel, Rover, Ford, Lincoln, GM, Honda, Acura, Lexus, BYD, Geely, and Lifan. Excellent customer support with a 2-year free software update. Professional mechanics and auto repair stores will love this. It offers many basic and advanced features to solve both easy and complex issues easily. Autel MS906 operates on Android and has a 1.3 GHz quad-core ARM Cortex-A7 + 1.7 GHz dual-core ARM Cortex-A15. This high-end processor is the reason why this scanner performs fast scans and draws quick results. It offers both common and advanced features. Battery Time: This obdII scan tool has a power packed battery of 5000 mAh which can last for 5 hours easily. AutoVIN Technology: With this feature, you can easily identify your vehicles among many. 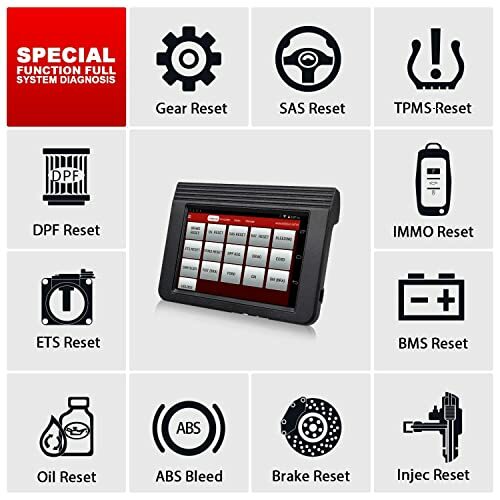 Advanced Functions: Autel MS906 can perform a variety of professional diagnostics such as ABS, SRS, ECU coding, EPB, actuation tests, adaptations, TPMS programming, oil reset, SAS calibration, and DPF. Camera: There’s also an 8MP camera to capture pictures and make videos. Autel MS906 can perform a variety of professional diagnostics. MS906 supports more than 80 car brands including Chevrolet, Ford, GM, Audi, Benz, BMW, and Dodge. 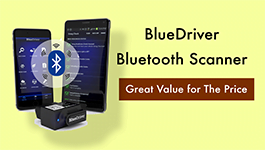 What makes this one of the best bidirectional scan tools is its ability to connect via Bluetooth, allow internet connectivity via WiFi and support USB 2.0 as well. 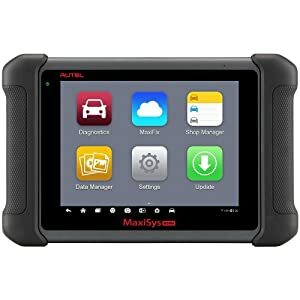 Advanced Features: Key Fob Programming, ABS, SRS, TPMS, ABS Bleeding Brake, Reset Functions Including Oil Reset, Oil lamp reset, BRT, Anti Theft Matching, ECU Coding, EPB, SAS, DPF, BMS, Injector Coding, Gear Learning, Immobilizer Matching, and Throttle Matching are some of the advanced features this scanner offers. Other than that, it can also perform basic functions such as running diagnostics, and clearing codes. Camera: This scanner comes with two built-in cameras. The front one is a 2mp camera while the rear is a 5.5mp camera. Moreover, there’s also a 3.5mm audio port for headphones. Battery: The battery runs for 8 hours constantly which is a great plus. LAUNCH X431 DIAGUN IV is easy-to-use and is able to connect via Bluetooth. Bidirectional Controls: Let’s you perform actuation tests, matching and seek problems in specific components of subsystems. The downside of the device is that it’s quite expensive and does not support all vehicles. It covers around 90 car brands, up to 10,000 car models that are obd2 compliant. Free updates for 2 years. Easy sign-up process on the website. Allows internet connectivity through WiFi. The updates can be slow to arrive. Some users may have trouble with software installation. This scanner lets you run various kinds of diagnostic tests and solve complex problems. Innova 5160 is recommended for professionals, mechanics, and DIYers due to the advanced features it provides. Innova 5160 can read and clear check engine, perform network scan on a vehicle, read and clear ABS/SRS, supports EPB and SAS as well. What Makes Innova 5160 Special? Innova brings years of experience to the table. Its products are known for ease of use and durability. ABS/SRS: It supports up to 4 graphs of ABS and SRS in one time. You can read and clear ABS/SRS codes quickly. Live Parameters: Displays real-time data to help you make quick decisions. EPB: Can help reset the electronic parking brake system and perform brake pad changes as well. SAS: You can adjust the steering angle sensor with this scanner. Battery: works on 3 AA batteries. Innova 5160 lets you perform active tests as it’s a bidirectional scan tool. Bidirectional Test: Innova 5160 lets you perform active tests as it’s a bidirectional scan tool. You can request other tests as well such as the Evap test. The company famous for updates and you may be able to perform even more tests in the future. Deleting error codes is easy once the problem is corrected. LED light connector helps to connect the scanner in dark. Customer support is offered in both English and Spanish. Doesn’t show DTC severity like the 5023 model. This scanner is recommended for professionals, mechanics, and DIYers due to the advanced features it provides. 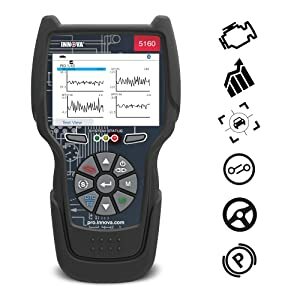 Suitable for beginner mechanics and people who want to perform bidirectional functionality, ABS/SRS diagnosis on their vehicles. AL619 is another Autel bidirectional scan tool that makes our list due to the features is provides. This bidirectional tool supports ABS/SRS related codes and can retrieve both generic and manufacturer specific codes. What Makes Autel AL619 Special? Almost all products from Autel are similar with a few minor differences in functions covered. Autel AL619 supports ABS/SRS related codes and can retrieve both generic and manufacturer specific codes. With this bi-directional scanner, you can check for faults in the airbag and supplemental restraint system. It offers both reading and clearing of ABS/SRS codes. More than 50 car brands support this feature. This Autel bidirectional scan tool also displays the error code along with an explanation. This will help you save time you’d otherwise waste searching for meaning. Apart from reading and clearing malfunction indicator lights(MIL), it offers freeze frame, I/M readiness, O2 sensor test, and live PCM data stream as well. 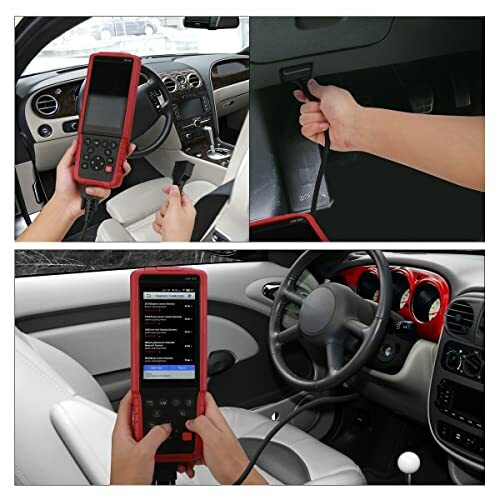 This scanner lets you perform mode 08 tests in your car. The most common test is the EVAP test with which you can check for leaks in your car. You will need to seal the EVAP system by closing the canister vent valve first to check for leaks. Data can be stored and printed via PC. Supports VIN, CIN, and CVN, therefore, suitable to use in multiple cars. Micro SD card is required to perform updates. 99 GMC Sonoma and Chevy S10 do not support ABS. 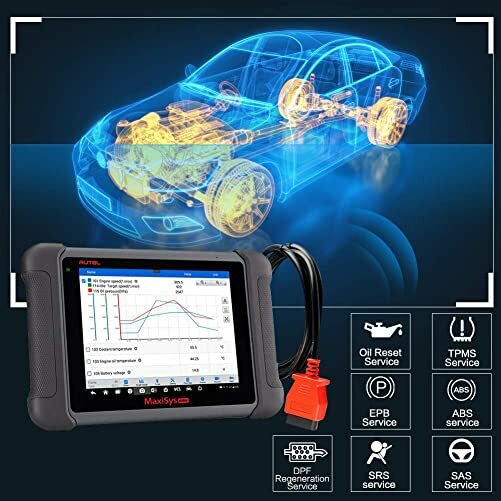 This bidirectional scan tool is suitable for beginner mechanics and people who want to perform bidirectional functionality, ABS/SRS diagnosis on their vehicles. 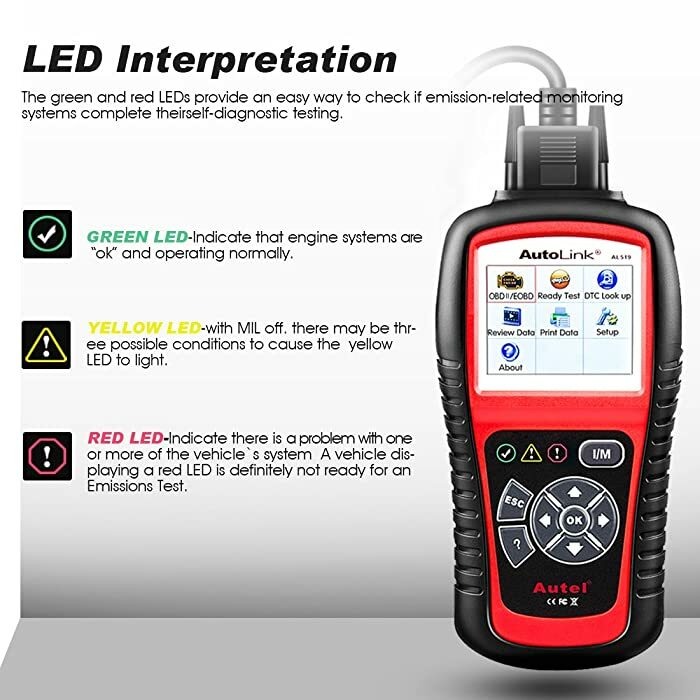 Autel AL519 is a bidirectional diagnostic tool which is preferred by many people because of the quick diagnosis it offers. 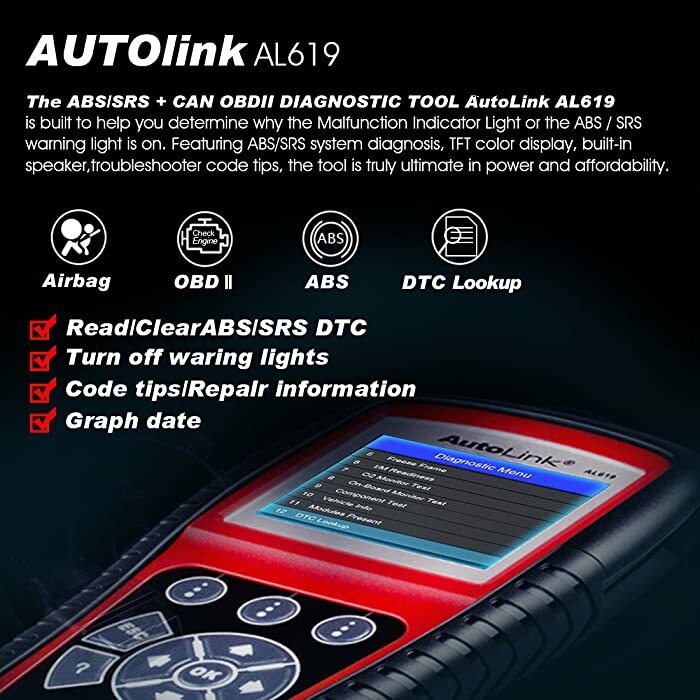 Autel AL519 is a bidirectional scan tool that offers all 10 modes of obd2 test so that you can perform a complete diagnosis on your car. What Makes Autel AL519 Special? “OK” – is displayed when a specific monitor has been successfully diagnosed. “INC” – is displayed when a particular monitor has not been successfully diagnosed. “N/A” – The monitor you are trying to diagnose is not supported. 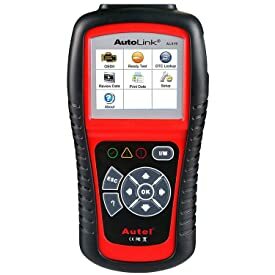 Autel AL519 is an affordable bidirectional scan tool with many features. It can read and erase codes. Moreover, it will read your car’s information with the VIN feature and remember it the next time you connect it to your vehicle. Autel AL519 can also read live data as you drive your car. Other than that, it can perform O2 monitor tests on your car as well. These are some of the most common need functions. They can help you gauge the condition of your car and allow you to keep it well-maintained. 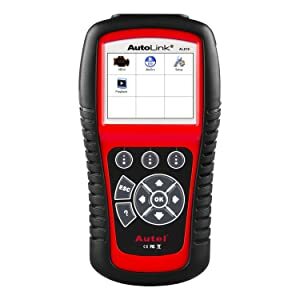 This Autel bidirectional scan tool has a DTC lookup feature that displays the error code along with an explanation. So it will help you save time you’d otherwise waste searching for an explanation. Autel AL519 is an easy way for the user to check. With this feature, you can check if the keyboard, LED lamps, and the screen of the scan tool is working normally or not. You won’t find bidirectional functionality in conventional obd2 scanners. The sending and receiving data to and from a car’s control module associated with them. – Component Tests: This scanner offers test mode 8 which is associated with a special control mode request system. It will help you conduct EVAP tests, check for the catalyst monitor problems in the car, and perform HO2S test as well. It supports all 1996 and newer models that are obd2 compliant. Can work on multiple cars. The data cable is long enough to offer hassle-free use. It comes with an 8GB microSD card to save codes. Faster – boots up in 10 seconds only. 1-year warranty and free lifetime online updates. Notification on the screen lasts for 2-3 seconds only. Difficulties in registering the item on the website. Autel AL519 is a bidirectional diagnostic tool many people prefer because of the quick diagnosis it offers. 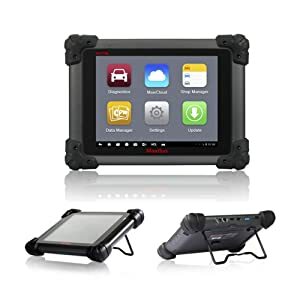 It’s important that you choose the best bidirectional scan tool for your car if you have the in-depth knowledge regarding cars. These are a bit expensive but they will surely help you save money in the long-run. 1. What is a Bidirectional Scan Tool? Bidirectional scan tools let you send and receive data to and from a car’s control modules. It’s an advanced functionality that is not offered by a basic obd2 scan tool but only by a bidirectional scan tool. 2. What are Bidirectional Scanners for? The main aim of a bidirectional scan tool is to request the control module to perform a specific function. These functions can be system tests, actuator tests, functional tests, inspection tests, reprogramming or reinitialization. Bidirectional scan tools reduce your diagnostic time. Suppose you connected a fuel pressure gauge, cycled the key and cranked the engine. However, you couldn’t figure out anything regarding the fuel pressure. Now, you are in the dark and unaware if there’s a problem with the component or the circuit. Moreover, something might be wrong with the vehicle’s computer system. Here, a bi-directional tool will help. There are many commands that let you send a request to the vehicle’s components and enable them. In this case, you will send a fuel pump command on instruction and you’d be able to see the proper fuel pressure. Hence, you will know if there’s a problem with the fuel pump circuit or pump. 3. Who should buy a bidirectional Scanner? Mechanics and professionals are often frustrated with conventional scanners as they cannot perform specific functions. This is why they need a bidirectional scan tool. People who want to perform functional tests, inspection tests, system tests, actuator tests should buy a bidirectional scanner. 4. What is bidirectional control? The process of sending and retrieving information from a vehicle control module with a device is known as bi-directional control. Can the AL619 help me diagnose a bad evap solenoid? Does it have that functionality built in? I’m afraid not Matt. But Autel ML629 does.